Rafael Da Silva Donates Wages to Charity | Fabio and Rafael da Silva! 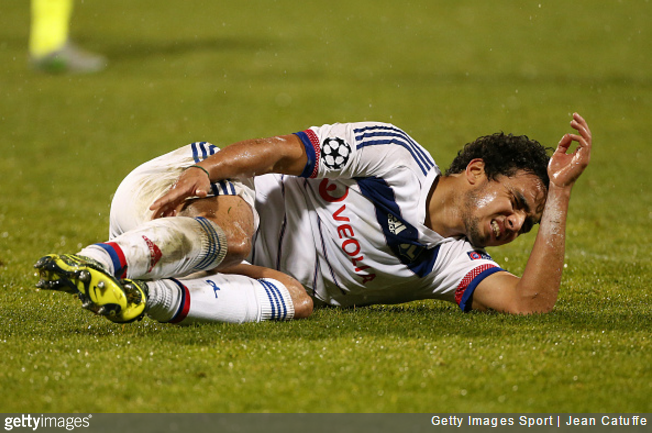 Rafael Da Silva may be forgotten in the Premier League, but he has a great opportunity of winning the league title this season with Lyon. It would be a great achievement if the French outfit were to overcome the dominance of Paris St Germain and win league titles once again. Rafael Da Silva, though, was not involved in the first few weeks of the season due to an injury. It is now revealed that the player gave all his wages collected during this period to charity. After several frustrated years towards the end of his Manchester United career, Rafael saw opportunity to join Lyon and took it with both hands in the summer of 2015. Rafael has never been forgotten amongst Manchester United faithful after having scored in the derby against Liverpool. He may be held in high regard by the Lyon fans for a different reason. The player reportedly gave his wages to OL Foundation. As one of the high earners at Lyon, a few weeks of not receiving wages is unlikely to hurtRafael. Meanwhile, the player’s brother Fabio da Silva is back in the Premier league with Middlesbrough. Just like his twin, Fabio also left United permanently to join Boro in the search for first-team opportunities. “I like to play and to be paid for doing that. But I wasn’t playing. I'm happy to have done that for the kids, but it was good for me too, it helped me," said Rafael da Silva about the offerings to charity. After having come up through humble upbringing in the Brazilian capital of Rio de Janeiro, Rafael and Fabio have seen a lot of problems early on in their life only to enjoy a luxurious lifestyle right now. The 26-year-old has already made nine appearances in the league for Lyon.